Dr. P.K.S. Madhavan the man whose thought laid the foundation of AWARE has single-mindedly devoted his entire time and life for the upliftment of tribals, harijans and the poorest of poor in the society and is a bachelor wedded to his mission. He is the only son of Sri Konghot Karunakaran and Smt Parichpulli Kamakshmma of Puthucode Royal Family. 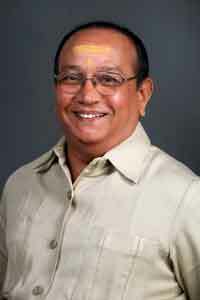 Dr. Madhavan studied Post graduation in Anthropology, joined civil services, and worked briefly for the Government for a little more than four years. Dissatisfied with his work he resigned and became a Hindu monk and spent about four years in Himalayan Mountains as a wandering monk. During this time, he learnt and practiced meditation, met spiritual gurus, read ancient scriptures like Vedas. Due to pressure from his mother, he returned home in 1974. He was encouraged to take up teaching profession and obtain a doctorate in anthropology. In 1975, he came to Hyderabad, State capital of Andhra Pradesh with the intention of writing a book on Chenchu primitive tribes as a part of his PhD. During his research for his academic book, he was shocked to see the misery, the poverty and exploitation of tribals. There he saw the meanest of human society, the scum of the earth, the very bipedal state of man brutal exploitation and slavish servitude, the arrogance and the meekness of man. He saw moneylenders taking back ten times the amount they had lent, he saw the dirty menial filling his stomach with assorted leaves washed down with strong spirits. Then he decided not to write the book. He felt that it was more important helping the victims’ poverty and exploitation, to liberate them. Thus the AWARE- Action for Welfare and Awakening in Rural Environment, was born. In spite of his hectic work, Dr. Madhavan is also a photographer, architect, and philatelist. He draws no salary or allowance of any kind or any honorarium from AWARE Group. He dedicated his life for helping poor and needy. Dr. Madhavan is a highly spiritual person and teaches Upanishads, Vedas, and Indian Heritage. His teachings blend development issues with ethical and spiritual aspects. He was awarded with Doctorate for his work on ‘Contemporary Religion in Modern World’. Today AWARE has become is the largest internationally reputed National Development Organization in India. AWARE activities are spread over in 8000 villages in the State of Andhra Pradesh, Orissa, Maharashtra, Gujarat and Uttaranchal, Kerala, Karnataka, Tamilnadu and Uttar Pradesh. In 1988, Dr. Madhavan led a movement of Tribals and Dalits with 2 lakh people protesting an attempt to repeal Tribal Land protective regulation called LTR 1 of 70. As a result, he succeeded in saving six lakh acres of tribal land. In 1989, Dr. Madhavan organized landless poor convention with 2.5 lakh landless poor being addressed by the then Chairman of Landless Poor Commission, Mr. Jeena Bhai Darji. This movement made the Government to think of the Employment Guarantee Scheme. Dr. Madhavan’s work with release of Bonded Laborers is phenomenal. He made the Bonded Laborers fight for their liberation, making them well organized, and taught them to use the law in their favor. This resulted in release and rehabilitation of 32,254 bonded laborers. There were seven times attempts on the life of Mr. Madhavan. Enemies of poor people’s development, employed goons to kill him by shooting, stabbing, attempts to burn him in his car etc. There was an attempt to throw bomb in his mahasabha. Every such attempt failed and Madhavan never feared or bothered. After a decade those who wanted to eliminate Madhavan realized and showered flowers on him and honored him as Gandhi incarnate. Madhavan proved Gandhiji is relevant and demonstrated power of the non-violence. With success mounting, opposition to AWARE grows as well. Some of the Landlords, politicians, bureaucratic and vested interest mafia are always ready to strike at AWARE because they are nowhere, where as AWARE is everywhere. AWARE is a Gandhian, dynamic, yet peaceful revolution - a unique experiment. “AWARE had to face almost unsurmountable obstacles in the early stage of its fight for vindication of the rights of the deprived and venerable section of the rural population and how these obstacles were overcome through the persistence and dedication of P.K.S Madhavan who identified himself with the cause of the poor and the disadvantaged. The vested interest who were affected by the activities of AWARE in fighting for the rights of the landless sometimes went to the length alleging that P.K.S Madhavan was a NAXALITE OR a CIA agent. I remember that once when I was the Chief Justice of India, I was invited by P.K.S Madhavan to inaugurate a complex which was set up by him some few kms away from Hyderabad and when I accepted the invitation, I was warned by a colleague that P.K.S Madhavan was involved with CIA and I should not agree to inaugurate the complex. This shows how far and wide spread are the arms of the rich and the powerful and how they try to malign and vilify those who are espousing the cause of the poor against them and how they make every efforts to destroy the credibility of their opponents. Of course, I did not allow myself to be bothered by this warning given by my colleague and I went to inaugurate the complex. There I saw for myself the remarkable work which was being done by AWARE. Dr. Madhavan was appointed thrice as Commissioner of Supreme Court of India, to conduct enquiries on issues relating to Bonded Laborers and atrocities on Dalits in Andhra Pradesh. He was made Member of Committee of Implementation of Legal Aid Scheme (CILAS) of Supreme Court of India. A report on Bonded Laborers. A report on Atrocities on Harijans, both reports were submitted by Dr. Madhavan to Supreme Court of India on the request of the Chief Justice of India. 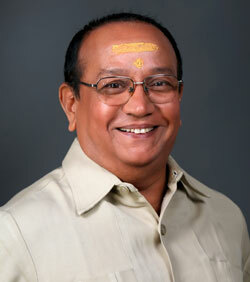 Dr.Madhavan was appointed thrice by the Chief Justice of Supreme Court of India, as Commissioner of Supreme Court to investigate about bonded laborers and atrocities on Harijans in the State of Andhra Pradesh. Member, National Council for Social Audit of Technology Mission, under the Chairmanship of Dr. Sam Pitroda. Member, Committee of Implement Legal Aid Schemes of Supreme Court of India. Member in Asian Development Bank NGO Council. Member, Planning Commission Voluntary Organization Advisory Cell 1991-92. Member, Eminent Persons Group (EPG) of United Nations High Commission for Refugees. Member, Governing Board of Dr.Babasaheb Ambedkar National Institute of Social Science, MHOU, M.P. (A Deemed University). Dr. Madhavan has presented more than 140 papers on subjects like Human Rights, Rural Development Environment, Culture, Indian Tribals and Women Labour etc. A paper on “Human Rights Development” at the International Conference on Human Rights at The Hague, Netherlands in 1980. “Educating Oppressor” at Commission for Dialogue, 1981 at The Hague. “Tomorrows – Citizen” Problems and Child Labour at the Conference of Law Asia at Kuala Lumpur, Malaysia in 1985. “Rural Development – Role of Voluntary Organizations” paper presented at Seoul, South Korea at International workshop on Management of Rural Development.